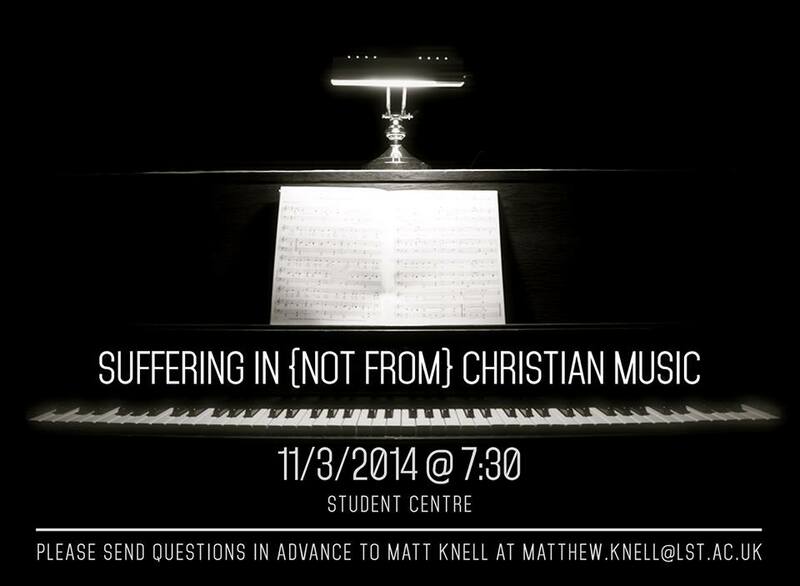 Back in March 2014 Matt Knell from LST hosted a discussion on the topic of Suffering in Christian music. Below are a selection of videos with some of the conversations and examples. The quality is not fantastic but some very deep and interesting topics came up, so do watch and share. It features LST tutors Jeremy Perigo, Geraldine (Latty) Luce and Sam Hargreaves, and musical contributions from some Chinese LST students, a small LST student choir, and Carey Luce.